Brazil seems to have descended into chaos after the stabbing of its leading Presidential Candidate Mr. Jair Bolsonaro. The rightwing conservative was operated for 4 hours whilst doctors feared for his life but his situation is now declared serious and stable. People have gathered in front of the hospital singing the Brazilian national anthem while many blamed the left for the attack and police and the army are called upon to protect the leading presidential candidate from further harm. Mr. Bolsonaro, who gave a short speech, declared that he never intended to hurt anyone and thanked his doctors. 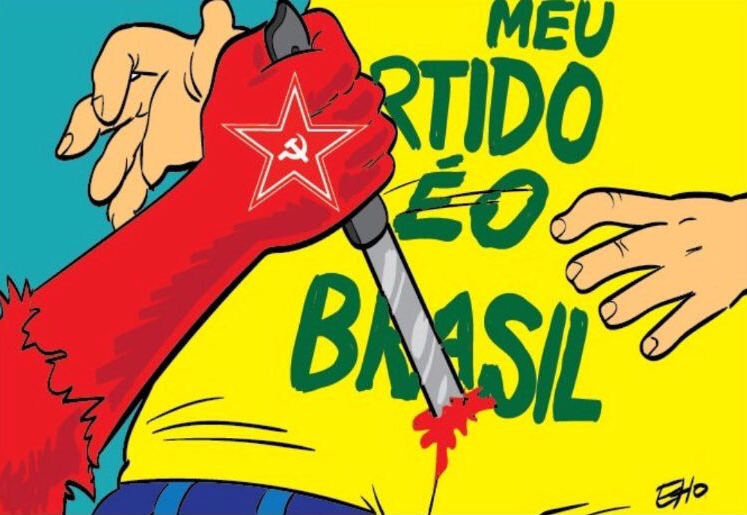 By now it has become known that the alleged perpetrator of the attack was Mr Adélio Bispo de Oliveira, a 40-year-old leftwing extremist who was a member of the PSOL, the extreme-left Partido do Socialismo e Liberdade, a political party that split from former President Lula’s Workers’ party and has 6 of the 513 seats in the Brazilian Congress and holds two mayoral posts. He has called Mr. Bolsonaro a traitor to his country and a ‘Judas’ numerous times on social media before the attack. During his questioning, he declared to have acted ‘on God’s orders’ at first but later also admitted that he also had a political motive. Related coverage: <a href="https://thegoldwater.com/news/36353-Brazil-Video-Of-Bolsonaro-Stabbing-Attack-Shock-Images "> Brazil - Video Of Bolsonaro Stabbing Attack (Shock Images)</a>. After the disaster earlier this week which saw the National Museum in Rio de Janeiro go up in flames it is the second major event in the largest South American nation that could seriously impact daily life. Many are fearing social unrest in the coming days should Mr. Bolsonaro not pull through. Two of Mr. Bolsonaro’s rivals in the presidential election have condemned the attack sharply.